Going green with your business is important for protecting the environment, but did you know it can also improve your bottom line? Besides doing wonders for your company’s public image, making eco-friendly changes can also save money by reducing the amount of resources you consume in day-to-day operations. Consider these six green investments your small business can make today. While not technically an investment per se, reducing your business’s consumption is the first step to being more environmentally conscious. Cutting back on resources can save you a great deal of money over the long term. For example, look at how much your company uses utilities like water and electricity, as well as office supplies such as paper and ink. Making small changes like turning off unused lights, recycling materials, and reusing items are common-sense measures for reducing your business’s environmental footprint. While these steps may not seem like much, tracking your expenses will show you how much you’re saving in the long run. You can use the money you save by cutting your consumption to make other green improvements, or even consider other kinds of investments. Investing in the stock market could be a good business move, or you can even work on your NASDAQ company profile if you want to sell shares of your own company. Another option for greening your business is to invest in more eco-friendly infrastructure. 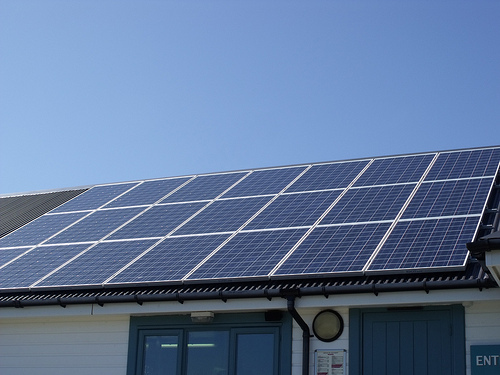 Making a few simple changes to your company building can slash your monthly energy costs. Consider doing things like upgrading your AC system, or improving your building’s insulation. You can also use frosted windows instead of blinds to utilize natural light, or make more serious investments such as installing solar panels. Just be sure to closely evaluate your numbers to make sure your green investments pay off. Making small changes such as upgrading to Energy Star appliances are usually a safe start. More businesses than ever are investing in telecommuting, and for good reason: allowing employees to work from home reduces the need for office space, cuts down on transportation costs, and can increase overall productivity by up to 20 percent. Encourage more of your staff to work from home by investing in things like laptop computers and tablets. You can also distribute company smartphones to your employees, which will allow greater flexibility for communicating via email and other outlets. The money you make from increased productivity will likely eclipse any investments you need to make up front. If your business provides company cars and fuel to employees, switching to hybrid or fully electric models is a smart green investment. Not only do these vehicles cut back on fuel costs and carbon emissions, but the government may offer you tax credits for certain qualified models. The important thing to remember about purchasing hybrid cars is that they require a significant upfront investment. Be sure to crunch the numbers before making any purchases, and decide how long your investments will take to pay off, and whether you can afford to wait that time frame. Performing a simple evaluation of your employees’ mileage records should tell you if smart cars are right for your business. With all the advances in digital technology, it makes sense to go paperless with your business as soon as possible. Even if going fully electronic isn’t a possibility, eliminating things like paper checks and postal mail will save a great deal of money and paper waste. One significant way to cut back on paper is to invest in an affordable cloud storage system. Services such as Zoolz, OpenDrive, and Dropbox for Business are all great resources for storing your company files in an accessible digital database. Additionally, cloud computing allows your employees to collaborate on projects over an encrypted network, making it a safe and cheap way to increase your staff’s productivity. Of course, philanthropy isn’t usually meant to be an “investment,” in the sense that you collect returns, but this doesn’t mean your business can’t benefit from helping out in your community. After all, having a reputation as a charitable company will greatly improve your image in the public eye. Donating money to causes like sustainability and green energy is one great way to give back to your community. Your business can also provide access to information and resources about environmental causes, which will educate your customers and draw in other potential clients. Ultimately, going green is a great way to help both the environment and your business. By taking advantage of these six green investments, you’ll see a definite improvement in your company’s bottom line. Annad Dendy Blog at WordPress.com.